What is SmartScreen Filter in Windows 8? SmartScreen Filter was introduced with Internet Explorer 8 to improve security. Windows 8 includes it to prevent unknown and malicious programs from running. SmartScreen is part of Internet Explorer 8 and 9 – with Windows 8, it’s now integrated into the operating system. If a file you are about to download is generally downloaded by a reasonably large number of people and considered to be safe, SmartScreen Filter lets you download it without any problems or warnings. If a file has not been downloaded before by others or, it was downloaded by a very small number of people, then it warns that it might not be a safe choice. Note: As for more security tips for Windows 8 just like how to recover Windows 8 password, you can use Windows Password Recovery to solve the problem. SmartScreen in Windows 8 sends information about every application you download and install to Microsoft’s servers. If SmartScreen doesn’t know about an application – whether it’s a new form of malware or just a niche program that few people use – Windows 8 will prevent the application from running on your computer. It will also prevent known-bad programs from running. But if you are sure the application is secure, you may think SmartScreen is annoying. How to Disable the SmartScreen Filter in Windows 8? Here will show you how to disable the SmartScreen in Windows 8 if you are sick of the notification by SmartScreen Filter in Windows 8. Note: SmartScreen in Windows 8 should not be disabled, as it helps prevent malware infections. This article is intended for educational purpose only. 1. Open up the classic control panel, and select the System and Security link. 2. Now select the Action Center option. 3. Once you are in the Action Center expand the security list, and scroll down looking for the Windows SmartScreen option. Once you have found it click the change settings link. 4. You will most likely be prompted by UAC to enter your password, now you can totally turn off the SmartScreen Filter. Change the radio button from the default to the bottom option. Thus you have disabled the SmartScreen Filter in Windows 8 successfully. Sometimes when you install a program in Windows, or when you apply a registry hack, you need to log out or restart Windows. However, the same thing can usually be accomplished by restarting the Windows Explorer (explorer.exe) process. This article is aimed at letting you know how to conveniently restart Windows Explorer process using the new Task Manager in Windows 8. 1. While on any screen in Windows 8, press Ctrl + Shift + Esc. If the Windows Task Manager displays like the following image, click More details to access the detailed interface. 2. Click on the “Processes” tab if you are not already there. The “End Task” option is still given at the bottom of the Task Manager window as in Windows 7. 3. Look for “Windows Explorer” process in the list of Processes. As soon as you locate the Windows Explorer process, you will see a “Restart” button in place of the “End Task option”. Click it and the process will end and restart on its own. 4. To close the Task Manager, select “Exit Task Manager” from the File menu. 1. Pull up Task Manager with Ctrl+Shift+Esc and then right-click on “explorer.exe” in the process list, and choose “End Process”. 2. Use Ctrl+Shift+Esc to bring up Task Manager, and then go to File \ Run and type in “explorer” into the run box. Then you have a good command of how to restart Windows Explorer Process in Windows 8 and Windows 7. For more tips of Windows 8/7/Vista/XP, you can apply for Windows Password Recovery to recover the password if you forgot them unfortunately. How to download Windows 8.1 Preview? Microsoft unveiled the preview version of Windows 8.1 at its Build 2013 conference. It’s free, but not unique anyone can get it yet. It’s available only through the Windows store—in other words, to Windows 8 and Windows RT users. After it becomes available, the Windows 8.1 Preview IOS experience should be similar to running Windows in a virtual machine. In the meantime, here’s what Windows Store shoppers need to know to get the preview. Since Windows 8.1 Preview is a beta-level operating system, it will break. Microsoft offers no technical support for the preview, just an online forum. Unless you enjoy danger, download this preview to a system other than your primary one. You should also back up the device and read the Windows 8.1 preview FAQs. The system requirements are the same as for current Windows 8 products: for starters, a 1GHz or faster processor and a Microsoft DirectX 9 graphics device with WDDM driver. A 32-bit system will need 1GB of RAM and 16GB of storage space, while 64-bit systems will need 2GB of RAM and 20GB of storage space. For the Windows RT 8.1 Preview, you’ll need a device that’s already running Windows RT and also has 10 GB of free storage space. For Windows RT users, if you download the preview, there’s no going back—you won’t be able to restore your prior Windows RT operation system to the device. You will, however, be able to upgrade to the shipping version of the 8.1 update coming to Windows RT in the future. Pay more attention when you download the Windows 8.1 preview. You can also know more info about Windows tips here. Take example, if you forgot Windows 8.1 password, you can turn to Windows Password Recovery for help. Go to the preview page and click the “Get it now” button. At this point, Microsoft downloads a file to your device, which you install, and then you restart your device. Once the device has restarted, you should be prompted to go to the Windows Store and download the preview. The Windows 8.1 Preview arrives and restores our hopes for this operating system. What’s more, the official Windows 8.1 will be released in October, 2012. Let’s wait for it. On Worldwide Partner Conference, head of Windows, Tami Rellar, revealed that the RTM version of its Windows 8.1 update would be rolling out to Microsoft’s manufacturing partners in “late August”. The free preview version of Windows 8.1 was only made available to developers and consumers on June 26 yet, if the operating system does indeed ship when Rellar says it will, Microsoft will have delivered in less than 10 weeks. The updated software will automatically expand or contract icons and page furniture to match the resolution and size of a connected display. This is a key addition for consumers who want to use a tablet as their primary device but then dock it with a keyboard and standalone monitor for home or office use. Microsoft’s taken on panorama photography, this built-in app will automatically join smaller images together to create one panoramic whole. In Windows 8, there is no simple, straightforward or even logical way of viewing all of the apps installed on a computer together as a unified list. This problem has been dealt with rather elegantly and now a single swipe up pulls up a user’s list of installed apps. Windows was listening to its users. However, the way it has been integrated is slightly different from start buttons of old. Clicking on it does not pull up a start menu from the task bar which expands in outward sections as the user rolls a mouse over. Instead, clicking on “Start” opens a start page. Windows really is looking to the future rather than simply trying to second-guess its competitors, Windows 8 will have native support for 3D printing. It means that companied that are gearing up to make consumer-focused 3D printers will be able to use Microsoft’s official, supported code to write printer drivers for their products. If you want to try Windows 8.1 preview, go to the Windows 8.1 preview page and download an update file and follow the instructions. But you have to back up your Windows operating system since Windows 8.1 preview can’t be stable enough. Here comes more information with Windows 8.1. If you want to know more, check it here. Facing with a slow computer almost drives you crazy! After using your computer a long time, it seems becoming slower and slower than ever before. In this article, I will show you what caused your computer slow and how to fix a slow computer efficiently. Why Your Computer is Getting Slower? Every issue that occurs in the system affects your PC’s speed. Here I list some common reasons for you. Your hard disk and memory usage is limited. If the hard disk space is not enough, your computer will show a slow speed. After a long time usage, your computer’s files can be scattered over your hard drive; this is called fragmentation and a cause for file searches to be slower than usual. Too many Windows and temporary files on your hard drive will also cause your computer slow. Every problem has its solutions. Here I list some efficient ways to help you fix a slow computer. This is the simplest way to speed up your computer. You just need to delete temporary files and unnecessary junk files from your computer and make some space in your hard drive. Install too much unneeded programs will takes up the space of your hard disk. And stop unnecessary applications to run when your Computer boots up will make you computer run faster. Try to defragment your computer’s hard drive every 3 months which helps you do get rid of all the unnecessary files and also keeps you hard drive in good shape. If your computer is infected with some nasty virus, your computer will be slow as these virus duplicate or use up your computer resources. Spyware and Adware are programs created by companies to find out more information about customers, so they can better market products to them. You have to use some kind of anti-virus software to scan for your computer to see if it has been infected with any spy ware or a virus. Windows updates are used to keep your system healthy and protected against various kinds of threats. And the security updates, bug fixes are necessary for your operating system to function properly. So if you are running a slow computer, just try the way we mentioned to speed up your computer. And for more computer tips, click here. In other words, Windows Registry is a database to collect information. Any change you make to your computer is automatically stored in the registry system. In many ways, the registry can be thought of as a kind of DNA for the Windows operating systems. How to Access the Windows Registry? The Windows Registry is accessed and configured using the Registry Editor program, a free registry editing utility included with every version of Microsoft Windows. To access to Registry Editor, you can execute regedit from the Command Prompt or search from the run box in the Start menu. In Windows, click on the Start button and then click Run. In the Run box, type “regedit” and then press enter to enter it. Registry Editor in fact is not the registry itself. It is the way to view and make changed to the registry. Technically, the registry is the collective name for various database files located within the Windows installation directory. How to Use the Windows Registry? The registry contains two basic elements: keys and values. Making changes to these values and keys using Registry Editor will change the configuration that a particular value controls. When you make changes to nearly any setting, changes are also made to the appropriate areas in the registry. How to Clear Up the Windows Registry? Most people are never aware that the Windows Registry needs to be cleared up. Naturally, when you add hardware you will also add a software program called a device driver. This device driver is software and an entry corresponding to it will be made in the registry. The problem is, as time goes on the registry tends to collect entries which are no longer viable. So you need to clear up you computer after using your computer for a period of time. A Windows registry cleaner program will definitely delete the entries in the registry that no longer are needed. 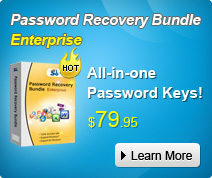 Another thing you need to know, the product key of many program such as Microsoft Office etc. will be encrypted in the registry after the installation. The only way to find your product key is using third party software such as Office Product Key Finder for Microsoft Office etc.